Welcome to our newest GYROTONIC instructor, Cherie! Meet our newest GYROTONIC instructor, Cherie Boschma. Meet our newest GYROTONIC instructor, Cherie Boschma. Cherie has a Bachelor of Fine Arts from the University of North Carolina, School for the Arts and graduated with a degree in Modern Dance. She danced professionally in Toronto, Canada with a contemporary ballet company as well as several independent artists. Certified in GYROTONIC® & GYROKINESIS®, Cherie has been teaching movement for 25 years and GYROTONIC for 19 years. She has had the opportunity to study with Master Trainers Lisa-Marie Goodwin, Sebastian Plettenberg, Juergen Bamburger, Dominika Borovansky-Gaines and to certify both in GYROTONIC® & GYROKINESIS® with its founder Juliu Horvath. 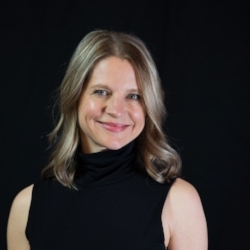 Cherie is excited to be Instructing at Core and making a difference in her clients experience in movement and their relationship with body, mind and spirit. Cherie will be available for sessions on Tuesdays in the studio.